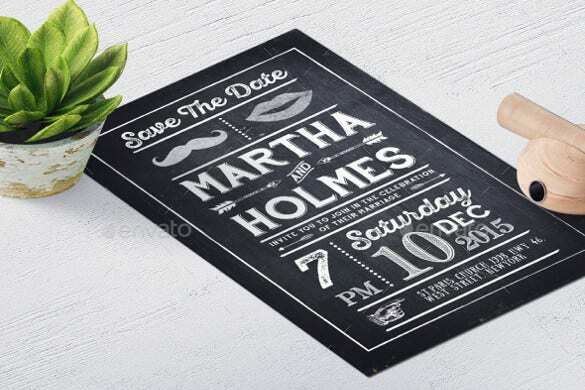 Chalkboard wedding invitation is in trend these days because of the style and décor it provides to the ambience. 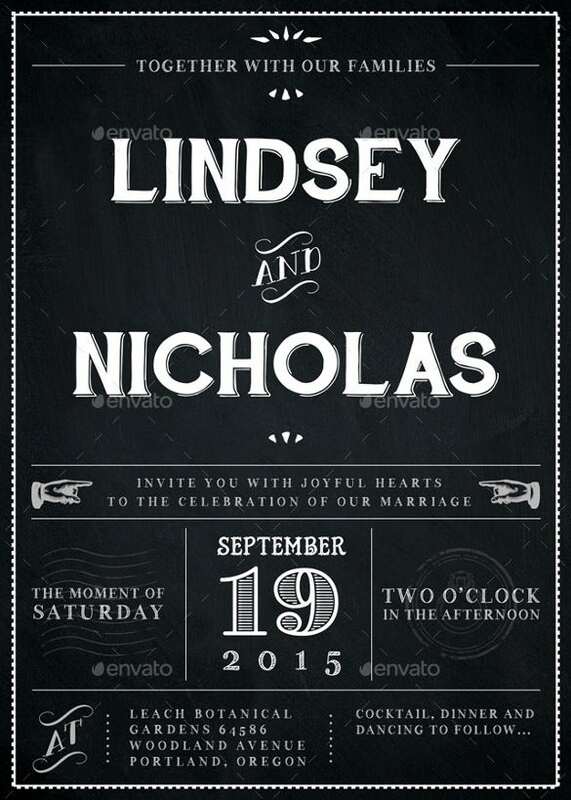 It’s a nostalgic way to remember your childhood on your big day. 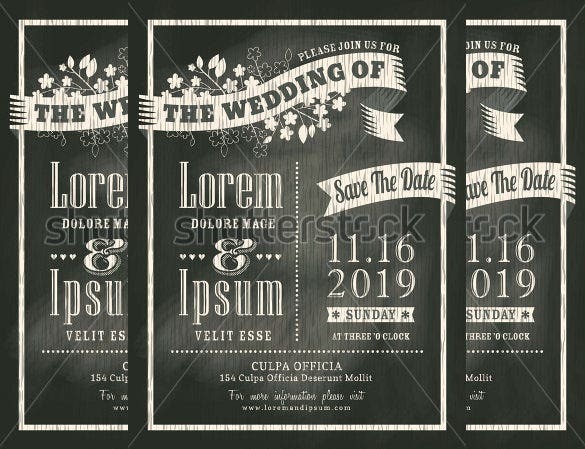 It’s a delicate and simple way to announce your wedding plan to your invitees and give them the required details.You can also see Modern Wedding Invitation. 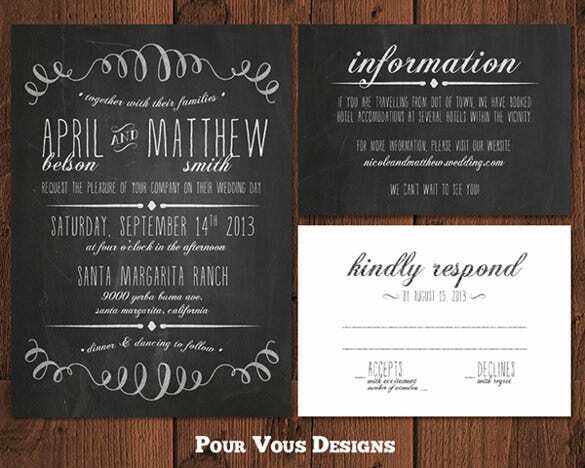 You can customize it as many times as you like using chalkboard colors that perfectly suits your personality. 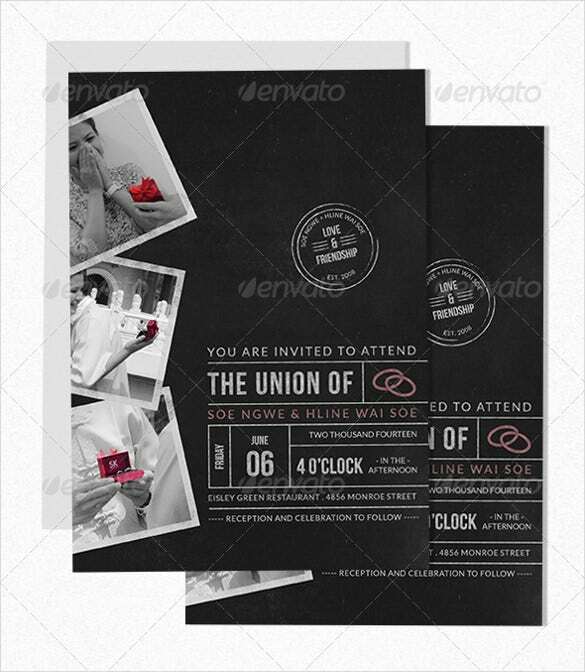 You can add many romantic decors to give it a unique look.Get inspired by number of templates available in various format options like PSD, PDF, MS Word and many more Wedding Invitation Template. 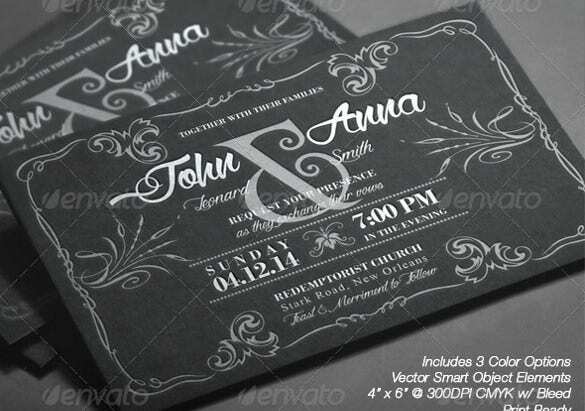 Your wedding should have your choice of wedding invites, of course once you discuss it with the love of your life. 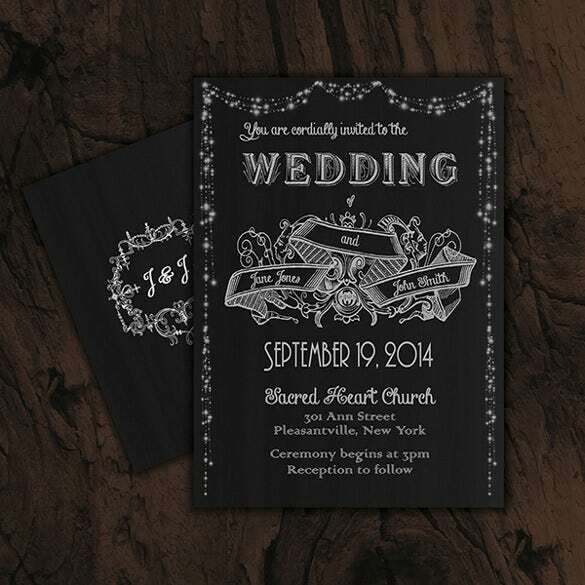 But we are sure that you would both agree on this black hearts elegant wedding invitations. If you have been childhood sweethearts then we are sure that you own a lot of memories which you would like to share with your friends and relatives. 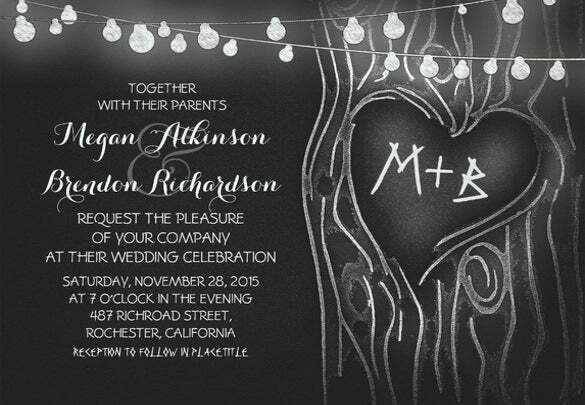 We give you a chance to do that with this chalkboard post card wedding invitation. 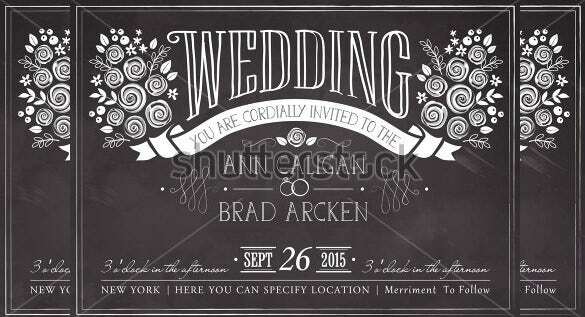 You can customize and accessorize this chalkboard happy couples wedding invitation to suit your requirements. 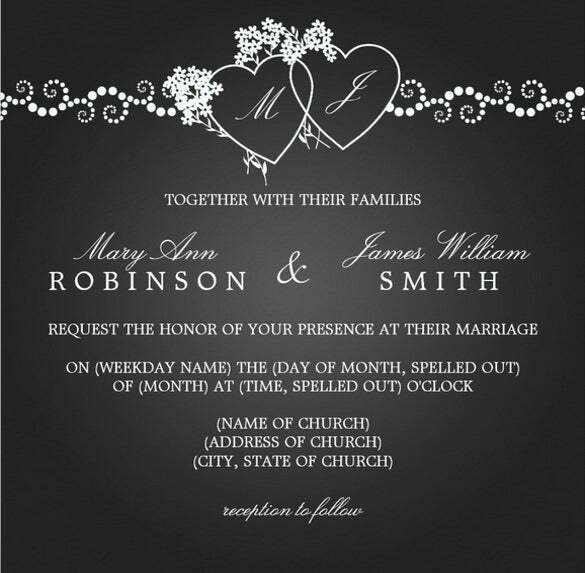 Get to spread your love message with these wedding invitations to make it more special. 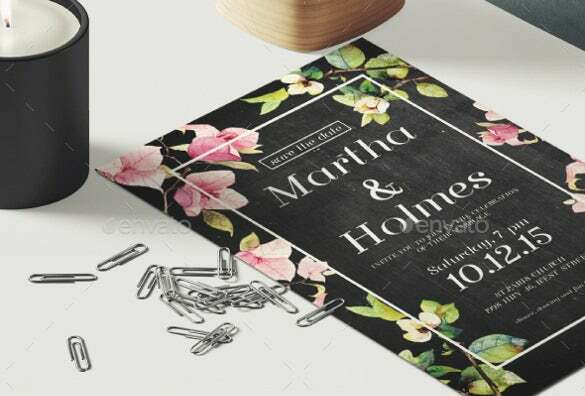 Treat your loved ones and invite them to the most special day of your life – your wedding, with these 2 scheme colour wedding invitation, which lets you add the details of the event. 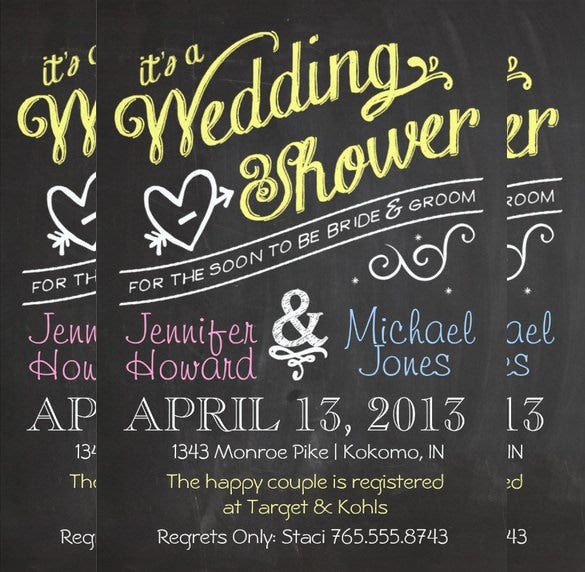 This invitation lets you keep things simple and cute. 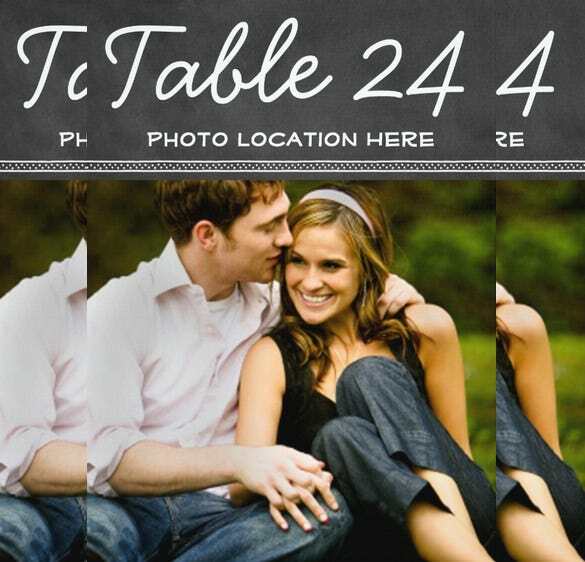 At the same time you can announce the details of your wedding with your friends and relatives and get to invite them in your wedding. Trying something floral is always the best and the safest idea! 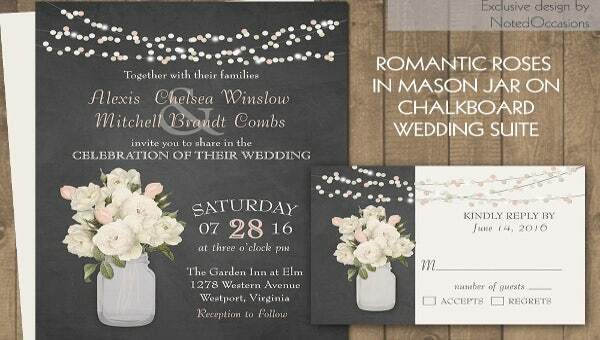 Even for your wedding invites we bring you something floral with this beautiful chalkboard wedding invitation. Flowers on the black background is all one could ask for. 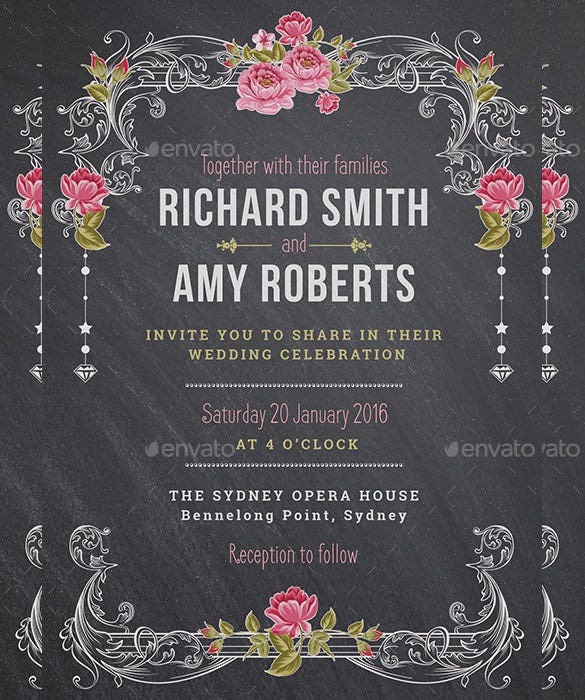 This wedding season we bring you an option of the chalkboard floral wedding invitation to announce your special day. Beautiful bonds are meant to be treated beautifully. 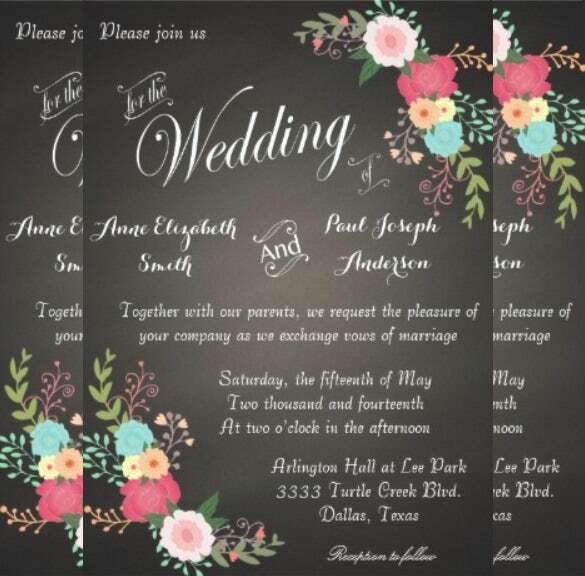 Invite all your loved ones, colleagues and relatives with this beautiful floral wedding invitation to announce your wedding. 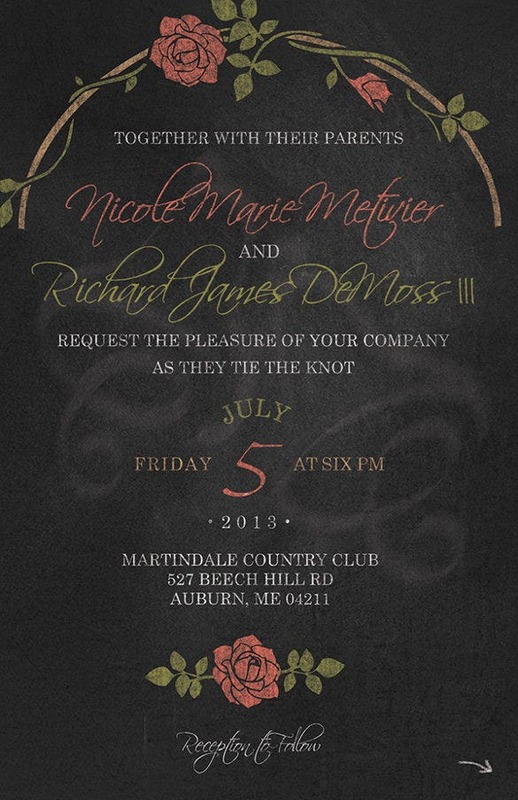 For something simple yet creative you need to try this freehand drawing on the chalkboard on your wedding invitation. 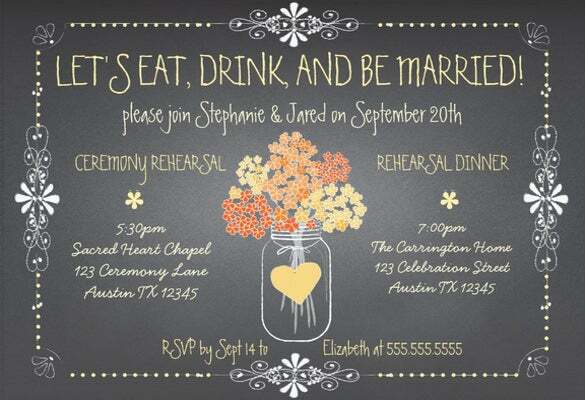 Make sure that you have something special to offer to your guests. 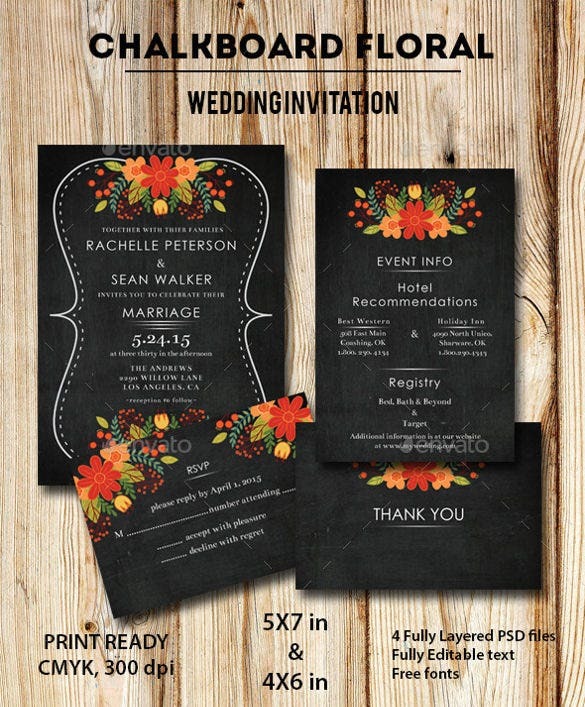 Make your wedding invitations special with this black and teal wedding cards. Weddings are meant to special events which are meant to last in our memories forever, make them worth it!